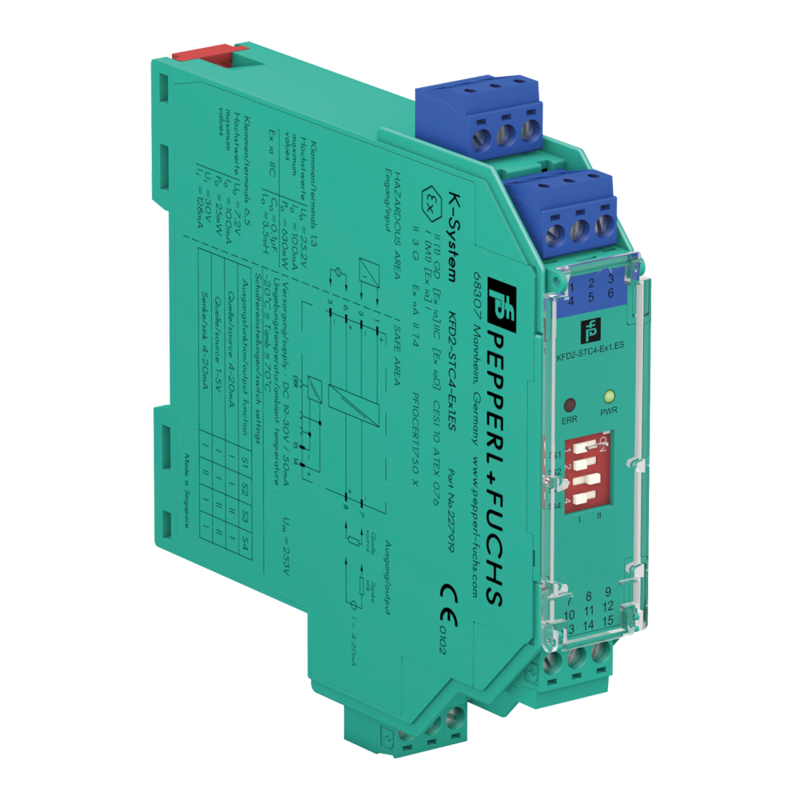 Pepperl & Fuchs transmitter power supplies transfer 4-20 mA signals from SMART or standard transmitters in hazardous areas and give them a power supply. 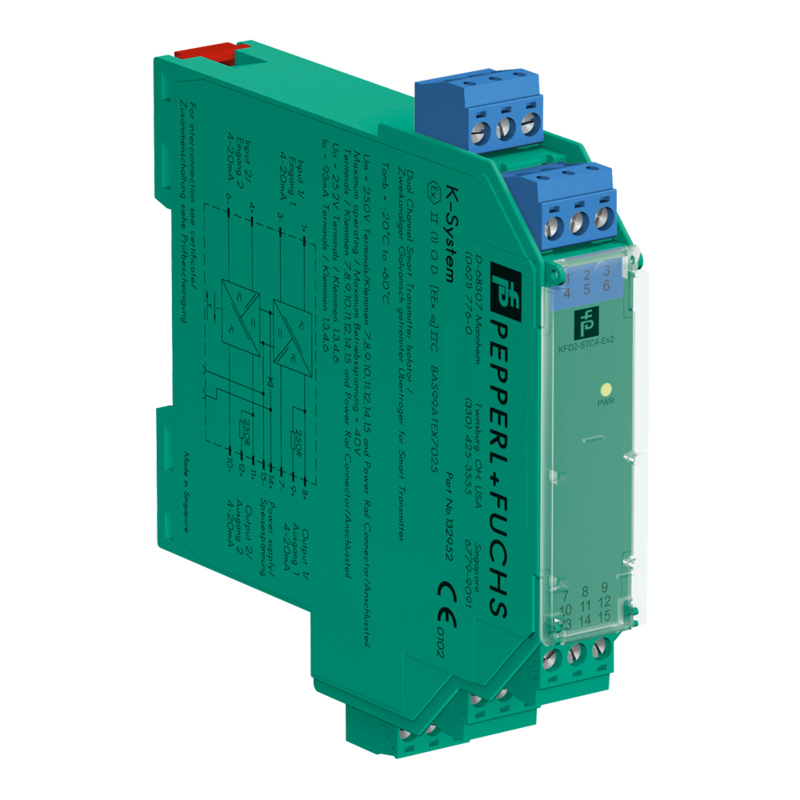 The P+F transmitter power supplies also give isolated signals that are comparative to measured values like pressure, temperature, or flow from hazardous to safe areas. The power supply and signal are sent through the same conductors in 2 wire transmitters which allows only 4-20 mA signals. SMART transmitter power supplies repeat transmitter currents in addition to digital signals, which are modulated onto a 4-20 mA signal.